ON-LINE ENTRY FOR THIS YEAR’S MOUNT LEINSTER CHALLENGE IS NOW OPEN. The Mount Leinster Challenge takes place on Saturday 18th May at the Bellefield GAA, Enniscorthy, Co. Wexford. This year we have 3 routes to choose from, 115km, 80km and a Novice 53km respectively and is limited to 300 riders. The 115km route will be suited to the more experienced rider who love climbing ascending twice over Mt. Leinster. . Starting at Bellefield GAA the route heads to Kiltealy, Rathanna, The Dying Sow, Flanders Cross, Garryhill, Corrabut Gap, Nine stones, Kiltealy, Bunclody, Kilbranish, Nine Stones, Kiltealy before heading back to finish in Enniscorthy. Entry fee for this route is €30. Non Cycling Ireland fee is €35. The 80km route will still be a challenge to take on but with only a single climb over Mt. Leinster. Starting at Bellefield GAA before heading to Kiltealy , Rathanna, The Dying Sow, Flanders Cross, Garryhill, Corrabut Gap, Nine Stones, Kiltealy and back to the finish in Enniscorthy. Entry fee for this route is €30. Non Cycling Ireland fee is €35. The Novice 53km Route is suited to anyone who is new to cycling and wants to dips their toe’s into the sportive world. This route will not go over Mt. Leinster. Starting at Bellefield GAA then onto Kiltealy, Rathanna, The Dying Sow, Kiltealy and back to the finish in Enniscorthy. Entry fee for this route is €20. Non Cycling Ireland fee is €25. N.B. 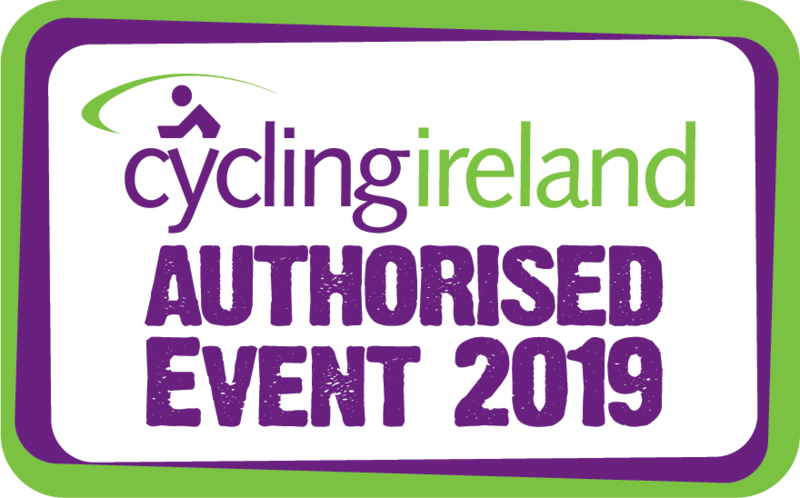 The non Cycling Ireland fee includes the €5 fee required for a Temporary Membership previously known as a One Day Licence.